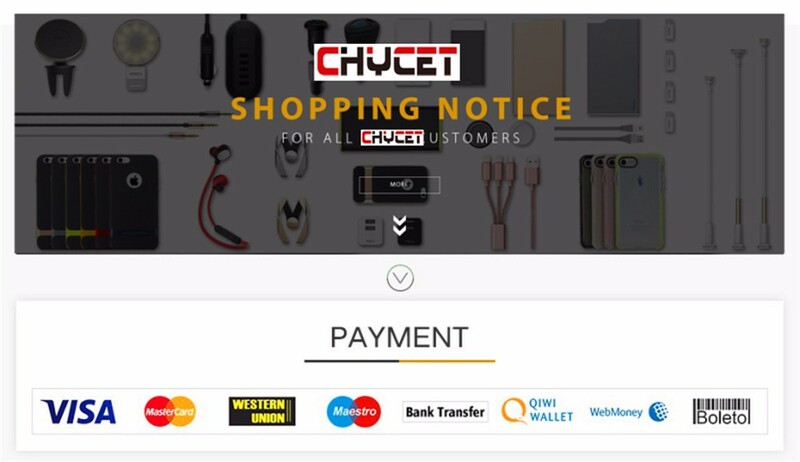 Note: If you follow our store, you will get 5% discount, SAVE more money! 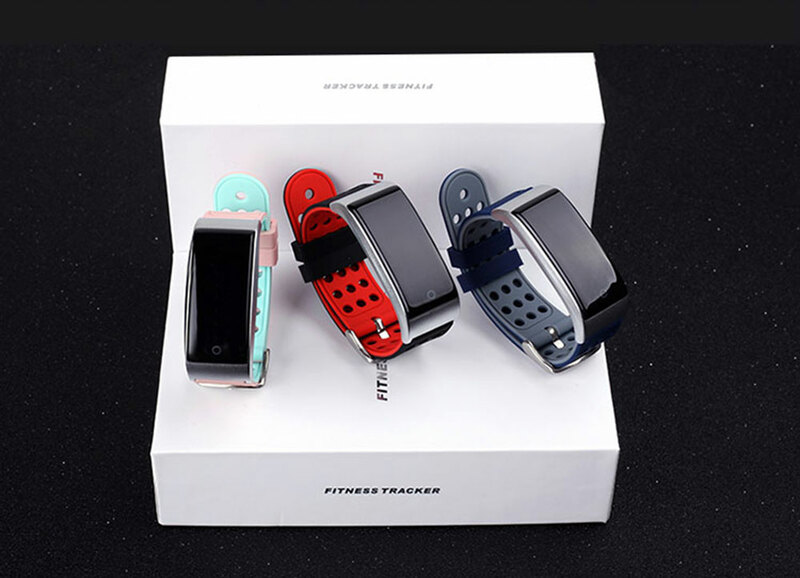 Metal appearance, double color environmental protection silica gel strap, sticker hand feel no wear. 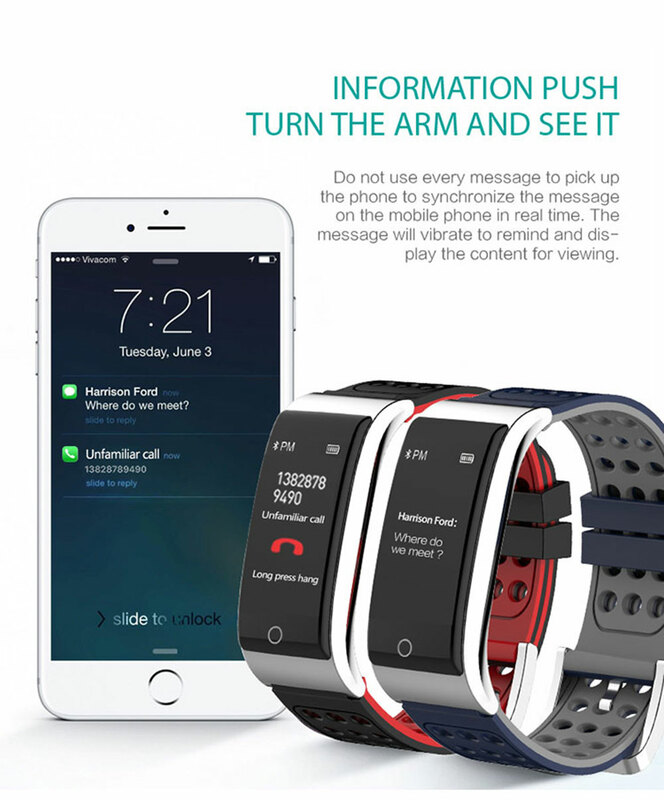 Note: Bracelet data is for reference only and cannot be used as clinical data. 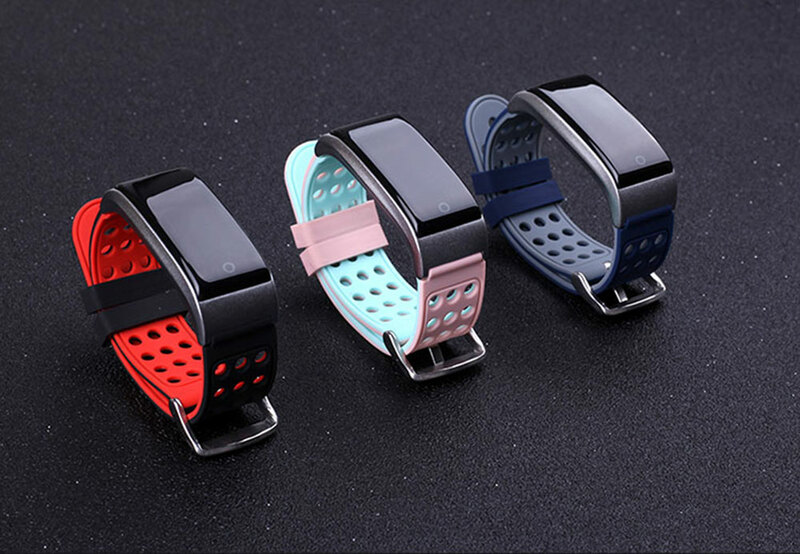 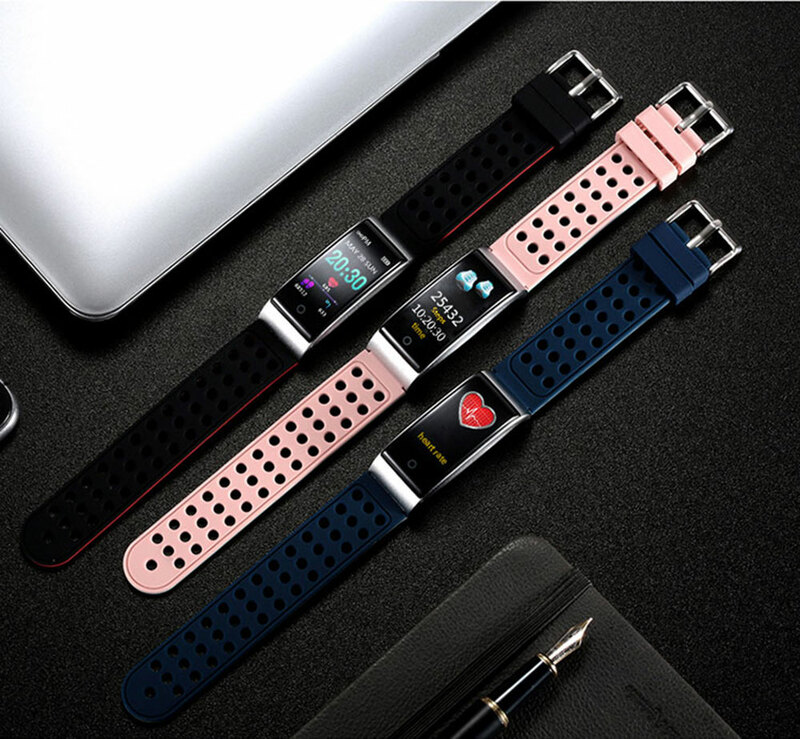 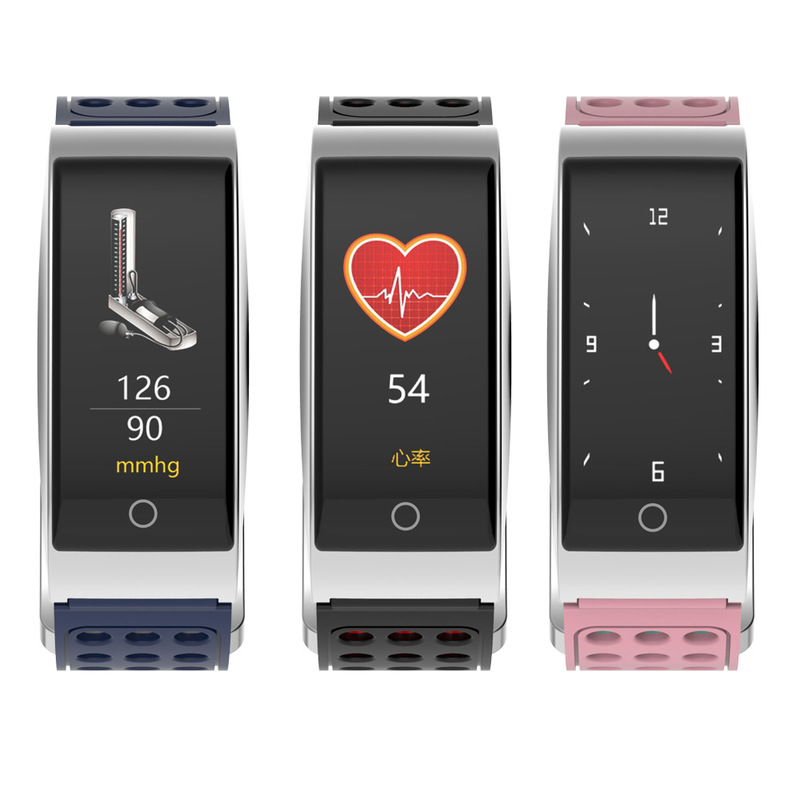 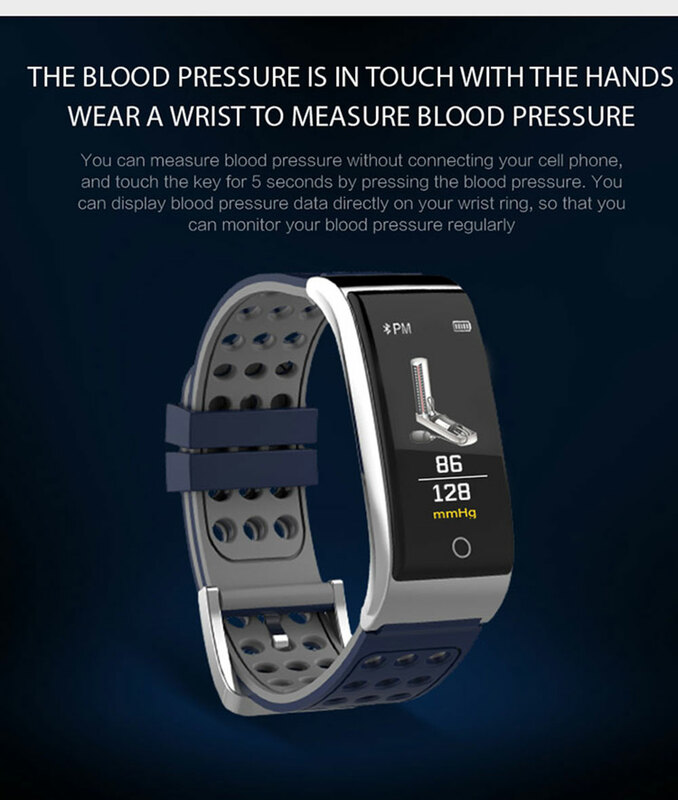 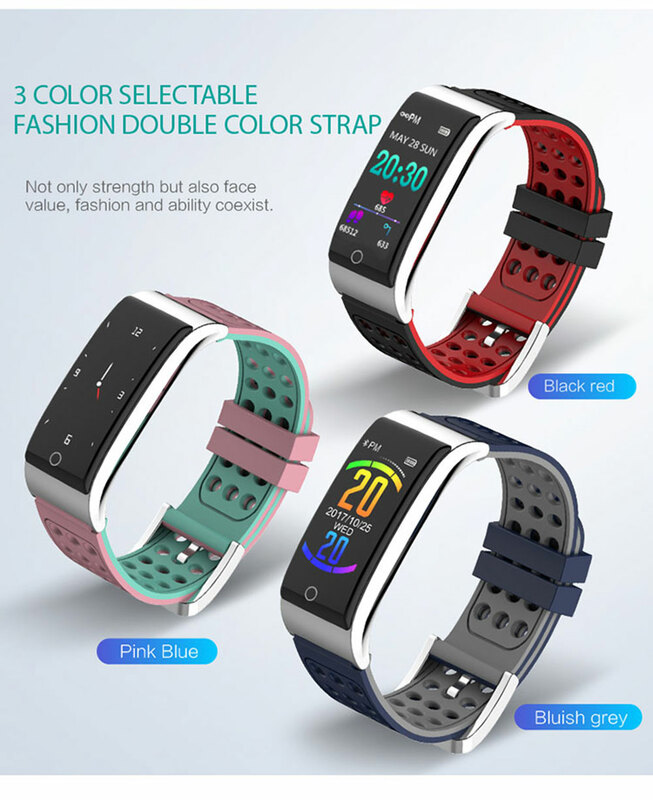 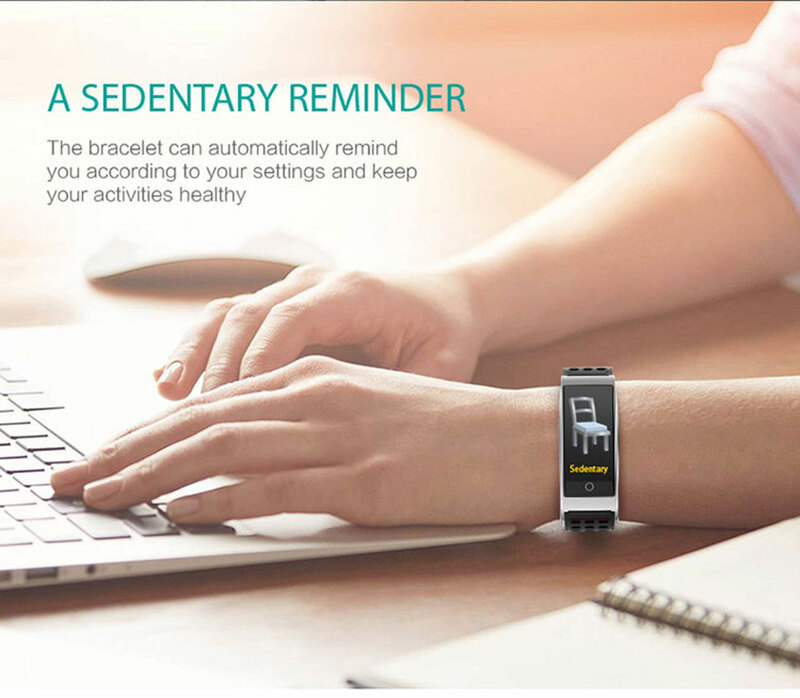 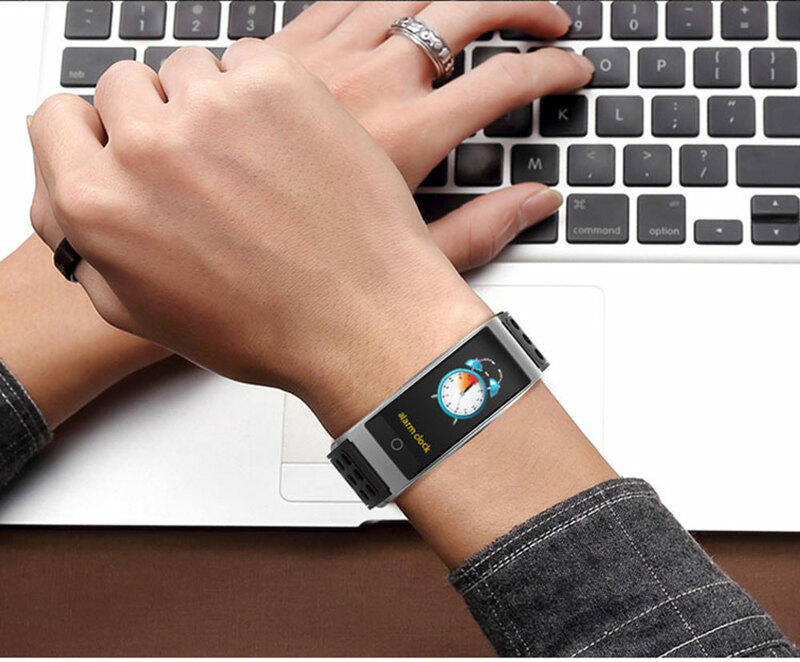 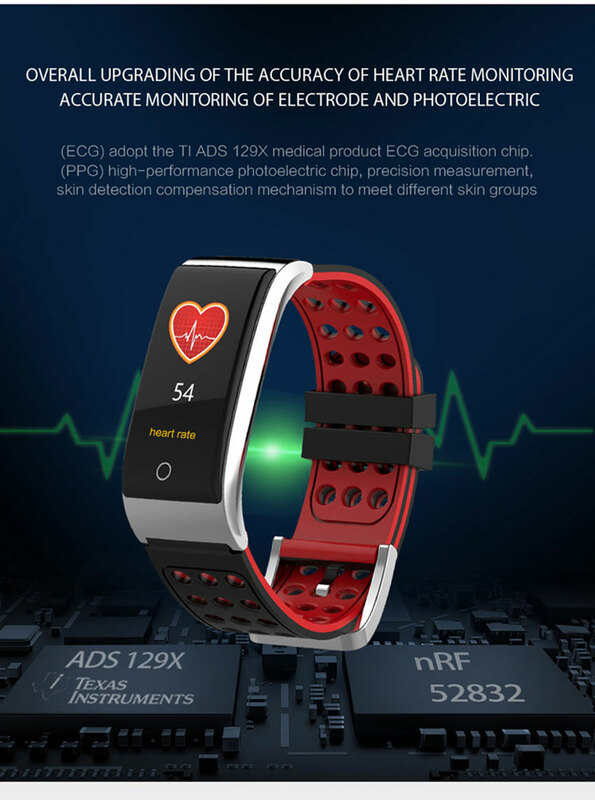 Smart wristband not for medical use, please don’t buy for check the health (heart problem, blood pressure problem) it’s not for professional use. 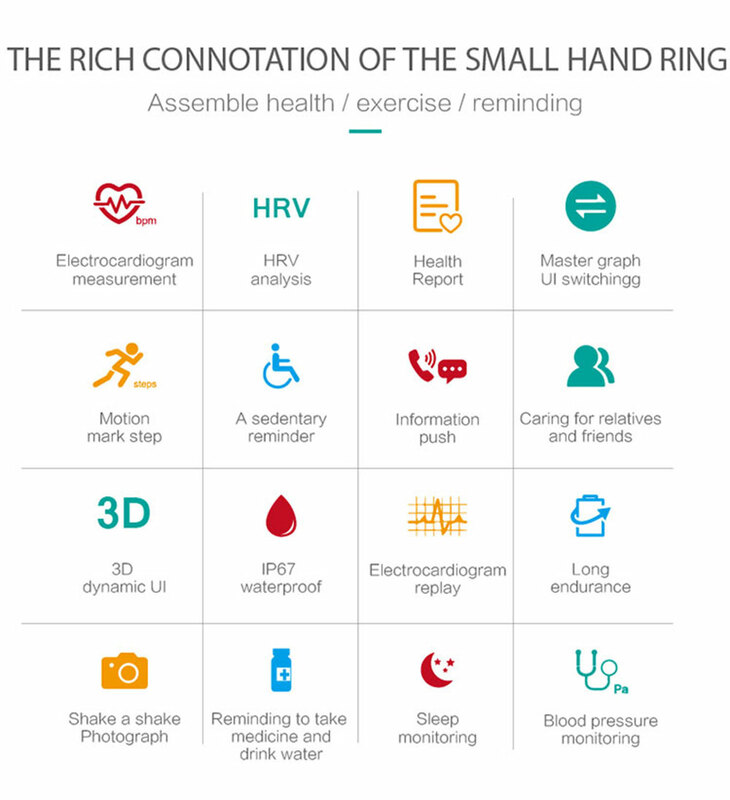 *THE RICH CONNOTATION OF THE SMALL HAND RING: Assemble health/ exercise/ reminding. 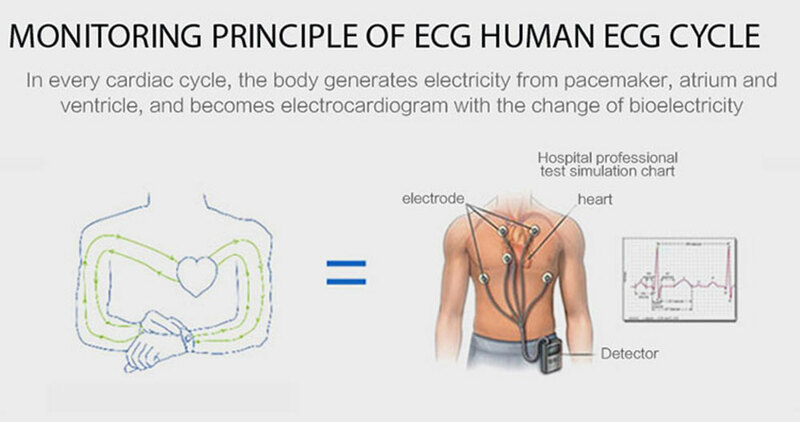 *MONITORING PRINCIPLE OF ECG HUMAN ECG CYCLE: In every cardiac cycle, the body generates electricity from pacemaker, atrium and ventricle, and becomes electrocardiogram with the change of bioelectricity. 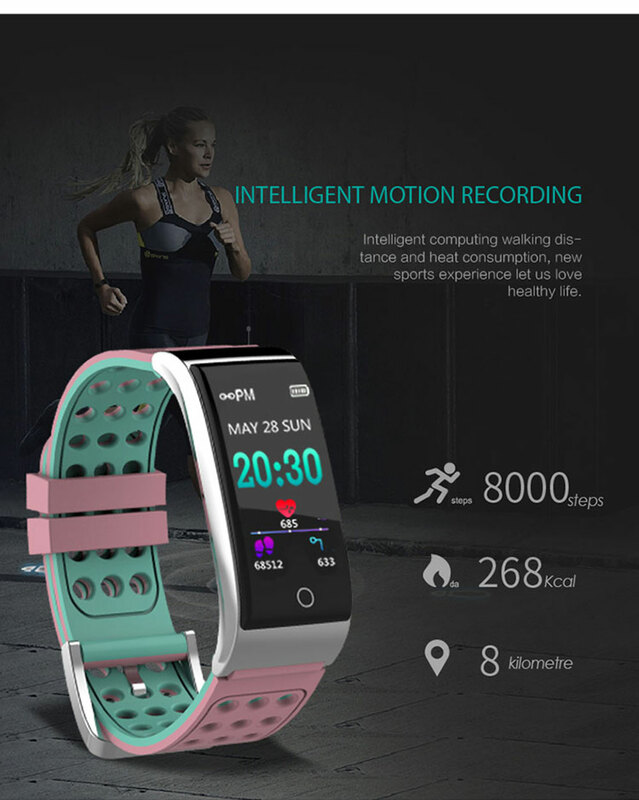 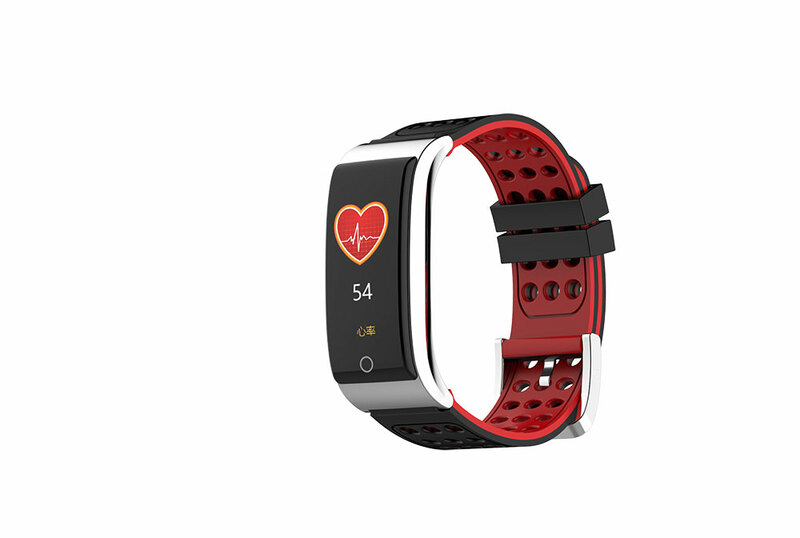 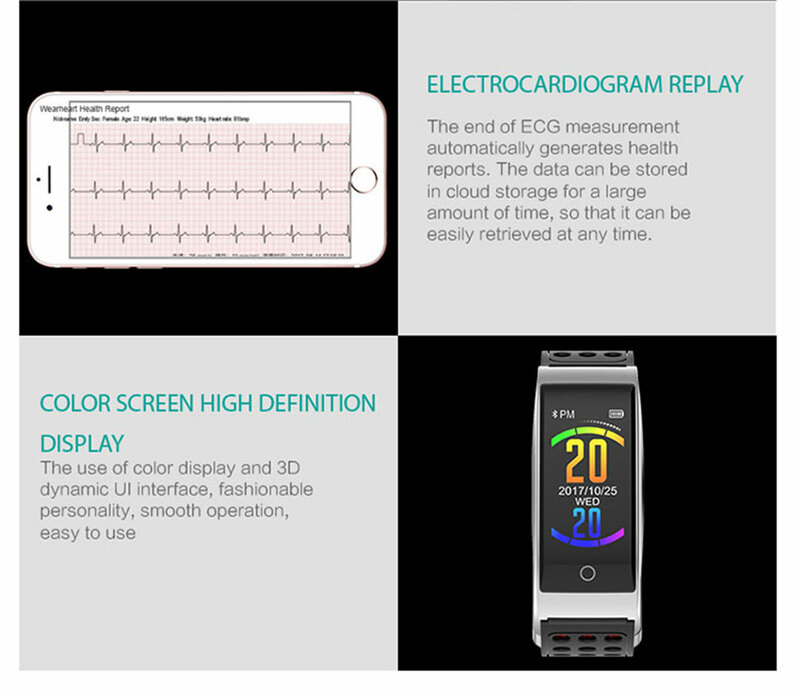 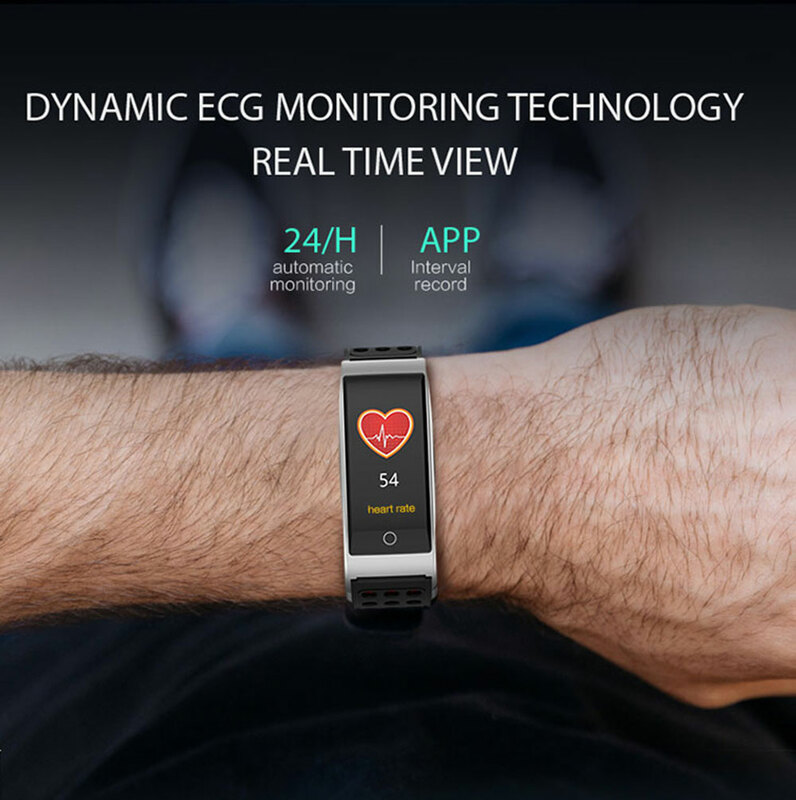 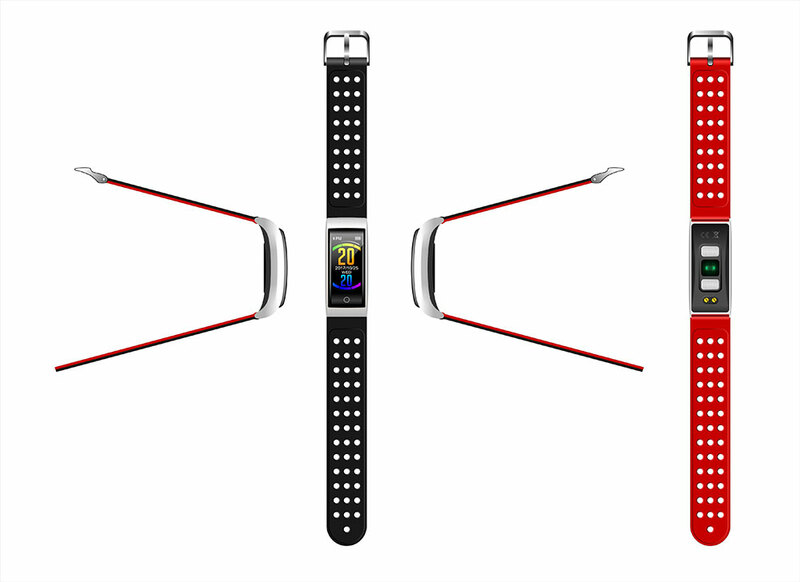 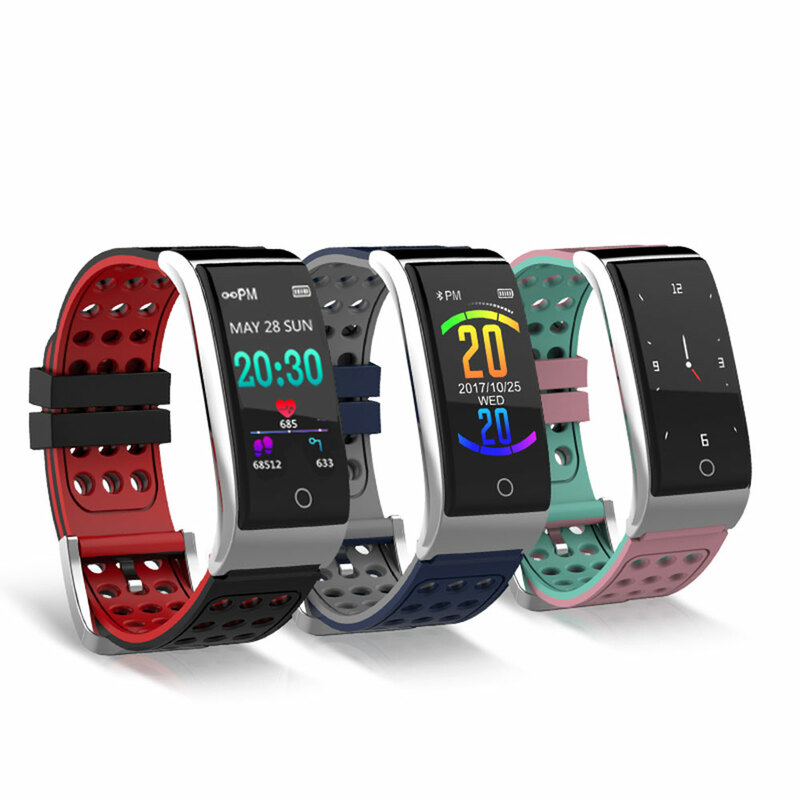 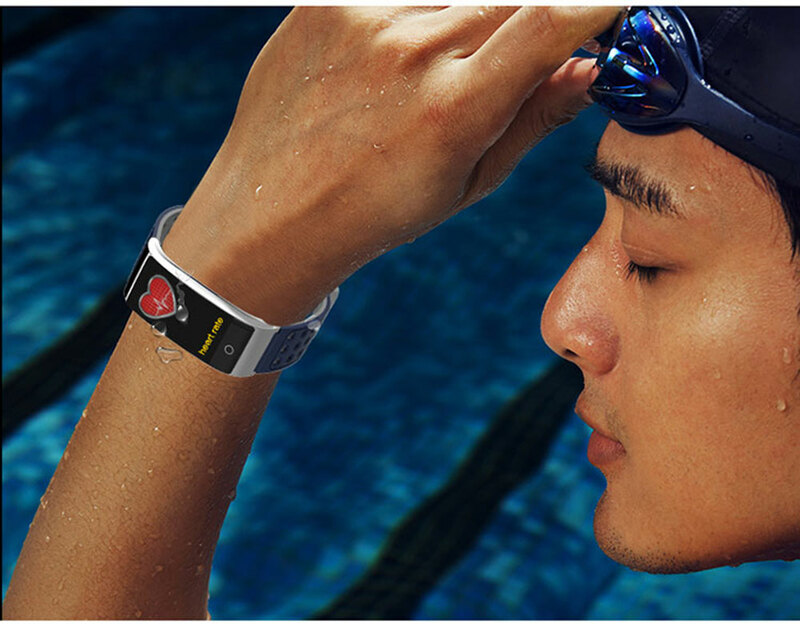 *Sports Heart Rate Monitoring: A new generation of heart rate ICs, which are more aimed at sports, optimize the calculation mode of various sports, The large data content analysis, data filtering error, effective accurate monitoring. 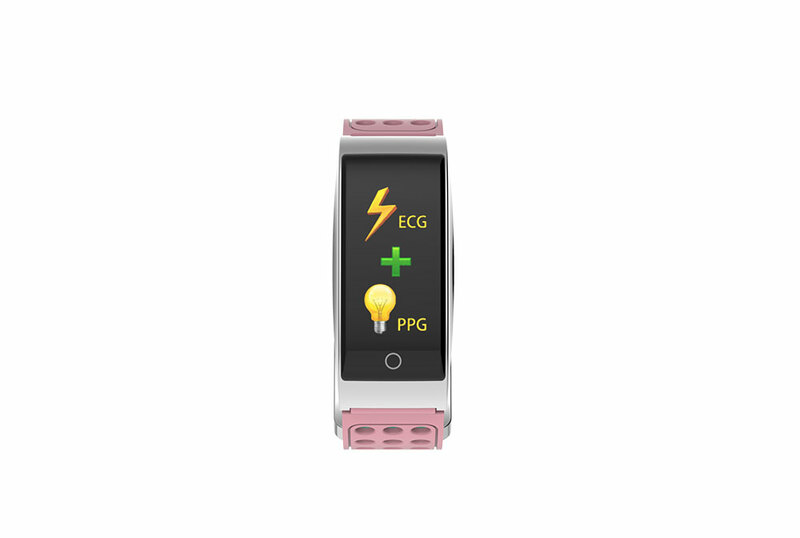 *Wrist optical dynamic electrocardiogram detection technology Look at your electrocardiogram in real time. 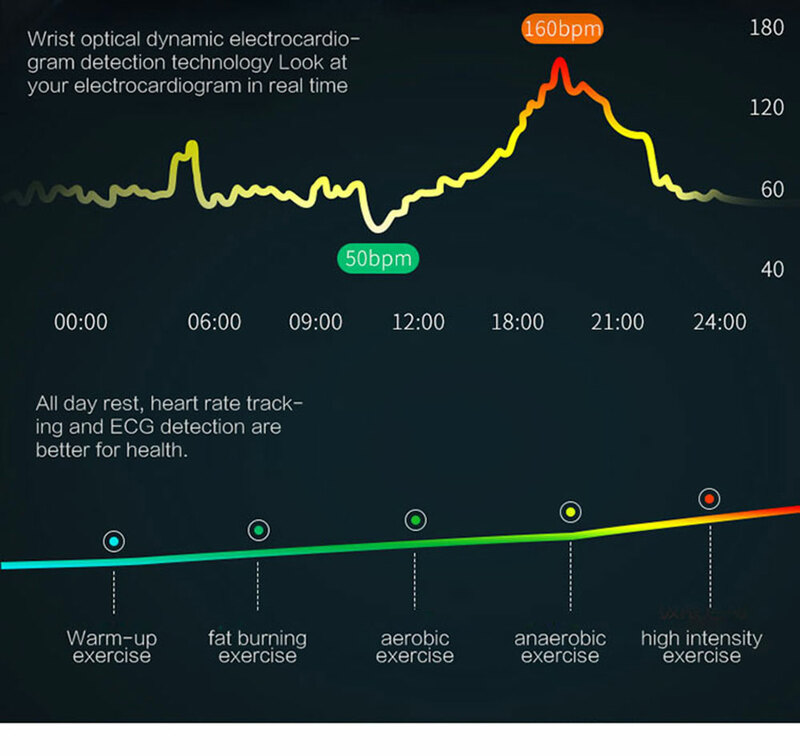 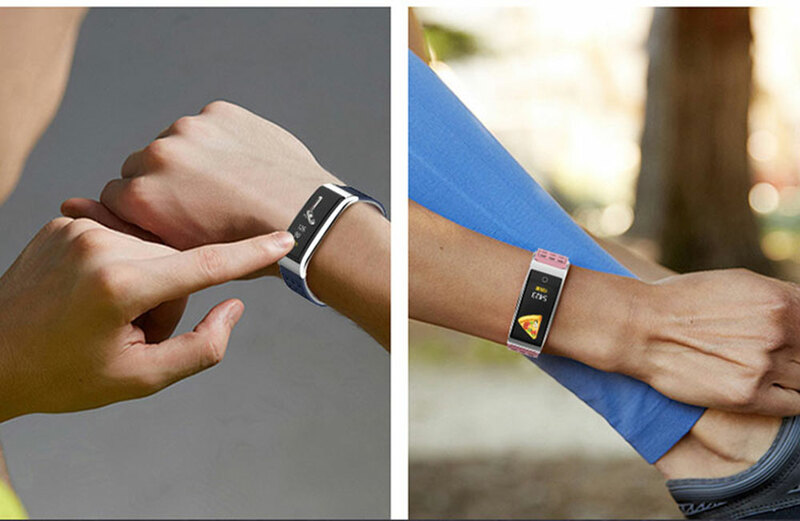 All day rest, heart rate tracking and ECG detection are better for health. 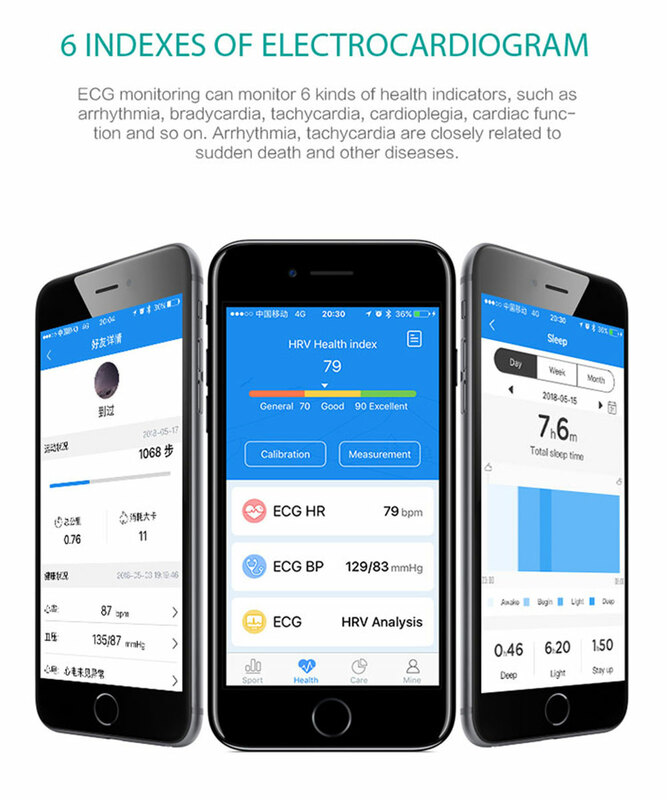 *6 INDEXES OF ELECTROCARDIOGRAM: ECG monitoring can monitor 6 kinds of health indicators, such as tion and so on. 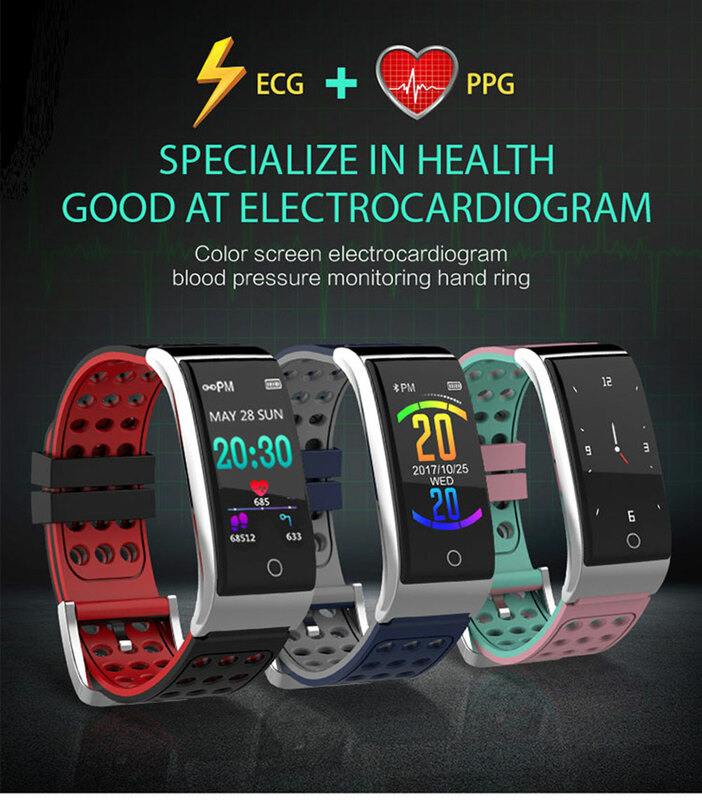 Arrhythmia, tachycardia are closely related to arrhythmia, bradycardia, tachycardia, cardioplegia, cardiac fund sudden death and other diseases. 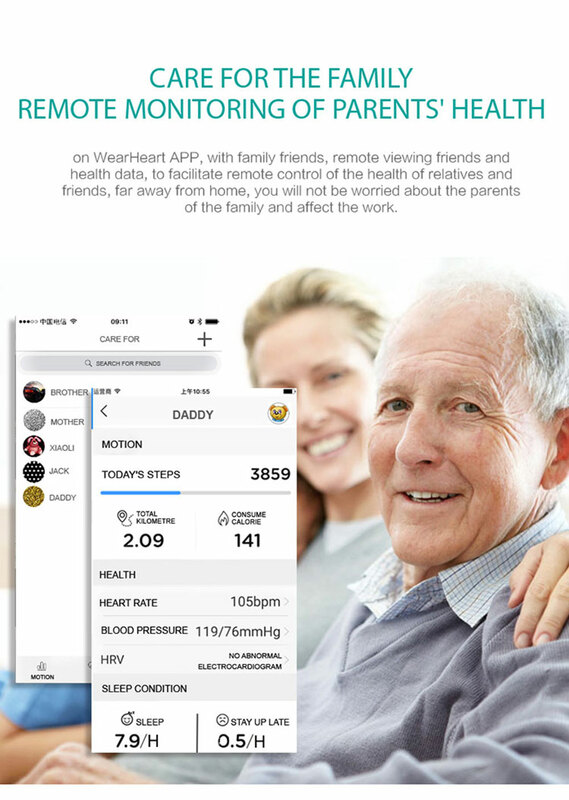 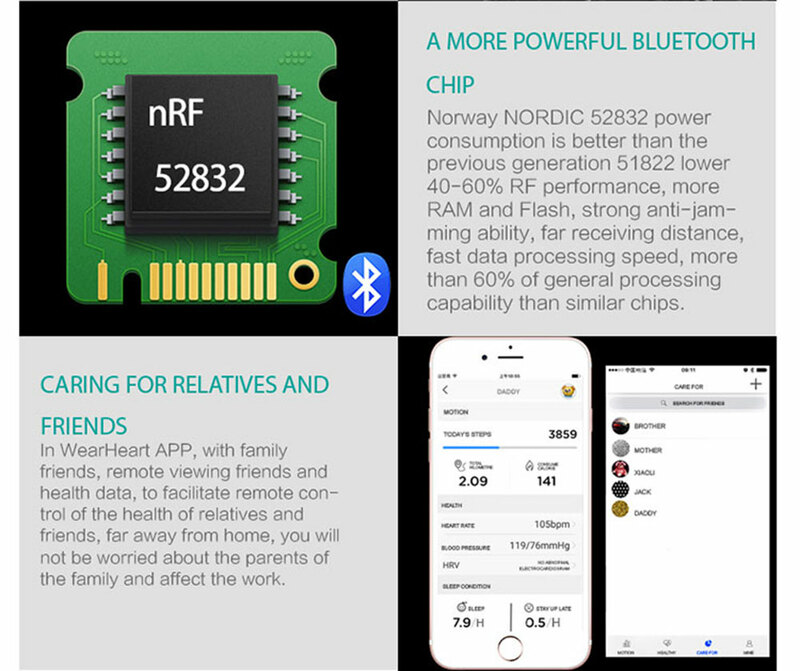 *CARE FOR THE FAMILY ,REMOTE MONITORING OF PARENTS HEALTH: On WearHeart APP, with family friends, remote viewing friends and health data, to facilitate remote control of the health of relatives and friends, far away from home, you will not be worried about the parents of the family and affect the work. 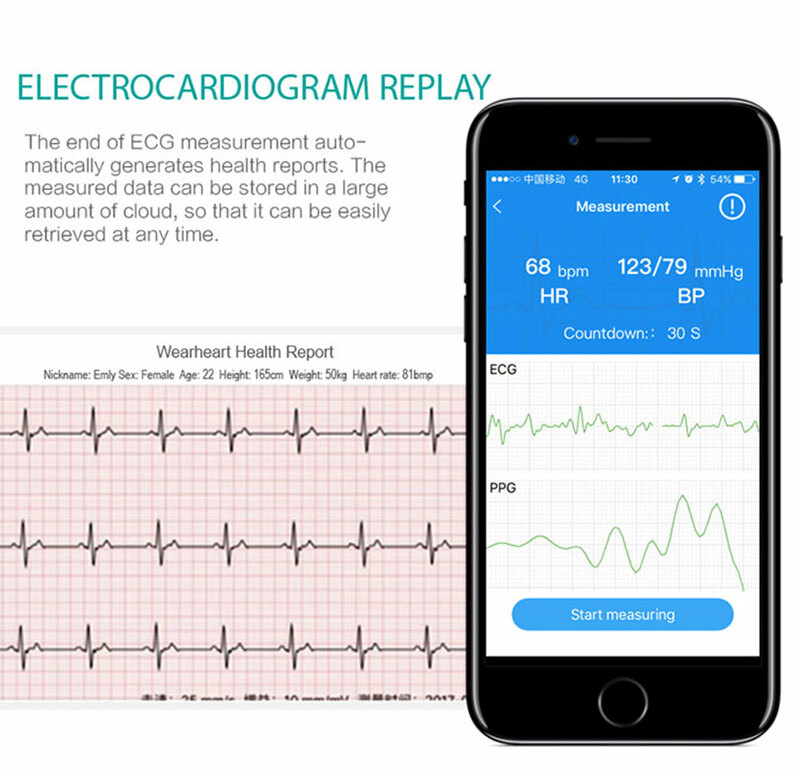 *ELECTROCARDIOGRAM REPLAY: The end of ecg measurement auto-matically generates health reports. 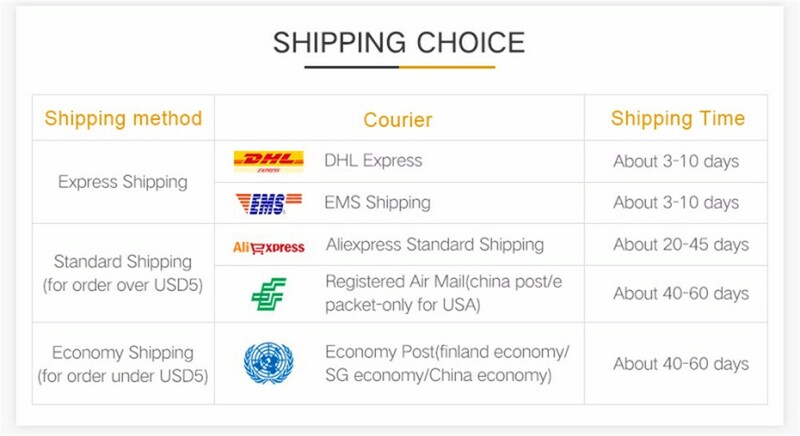 The measured data can be stored in a large amount of cloud, so that it can be easily retrieved at any time. 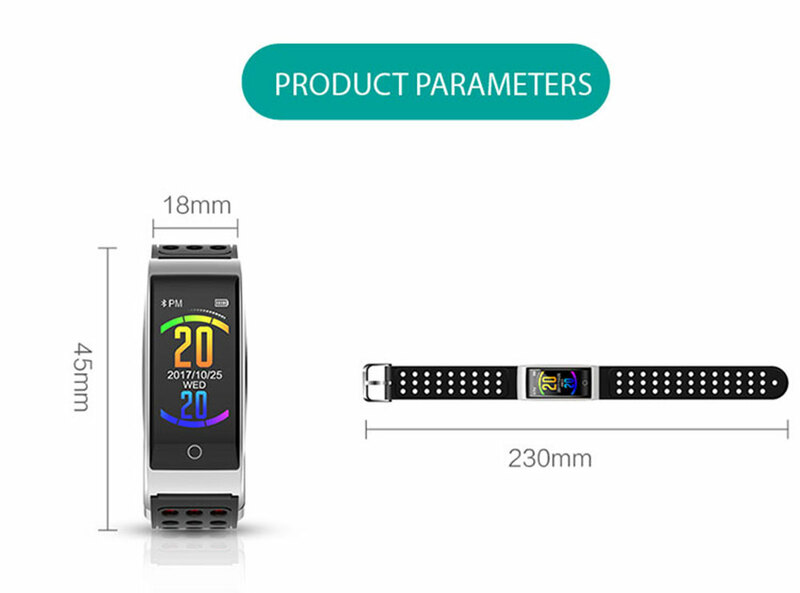 *TOUCH COLOR SCREEN,3DUL INTERFACE: The 0.96 inch touch screen is easy to operate and responsive. 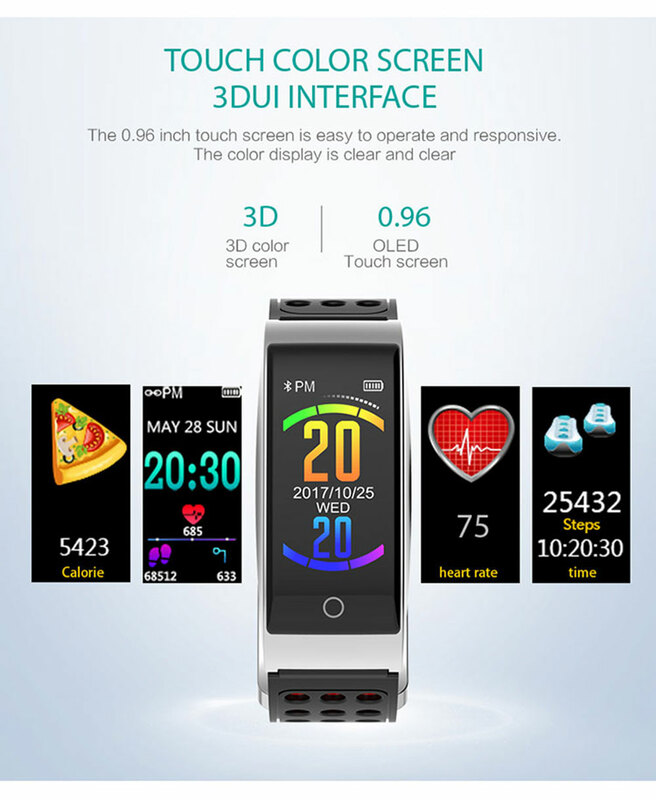 The color display is clear and clear. 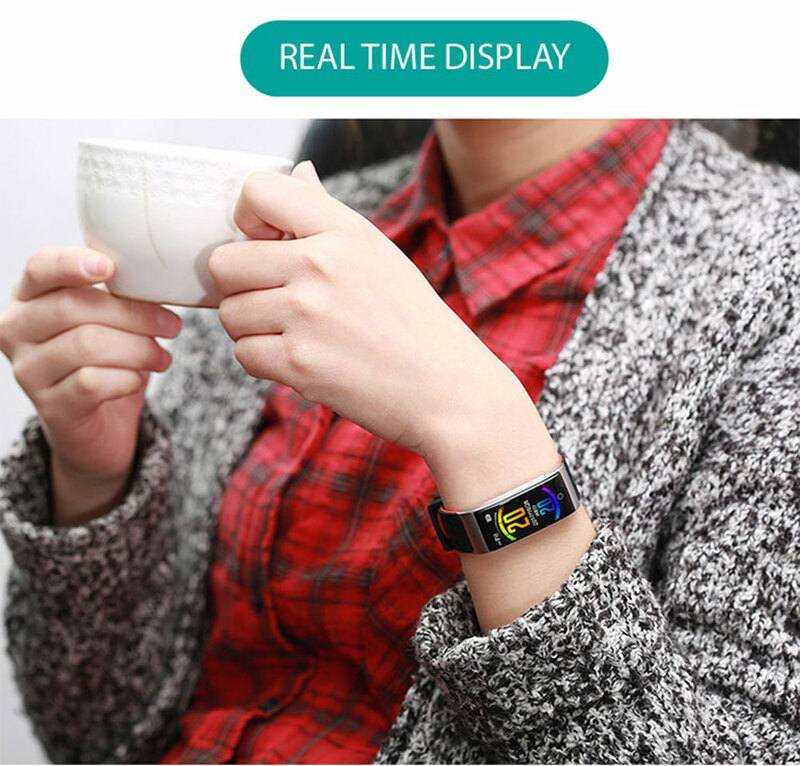 *Message alertl: The bracelet will kindly remind you when new message coming by vibration, easily view the message on the bracelets. 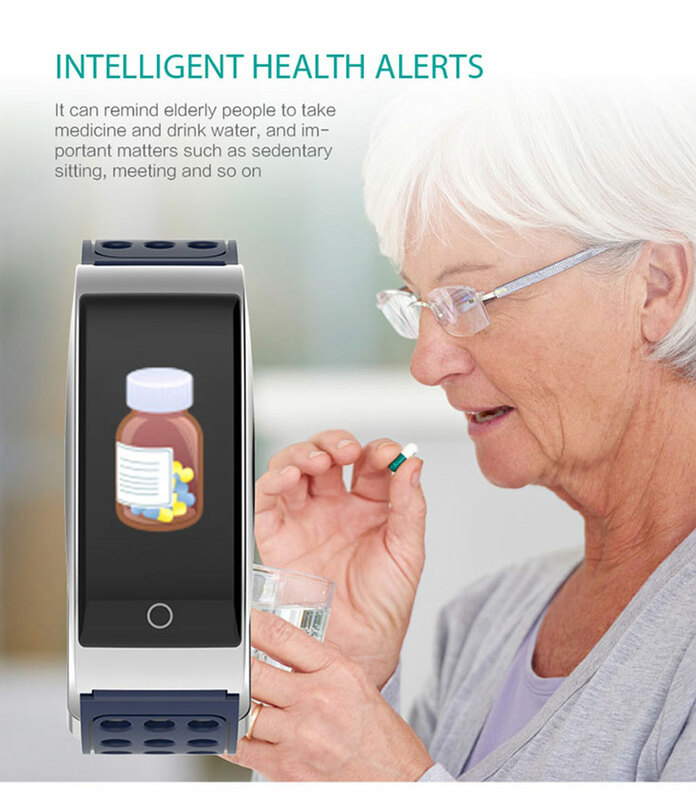 *INTELLIGENT HEALTH ALERTS: It can remind elderly people to take medicine and drink water, and important matters such as sedentary sitting, meeting and so on. 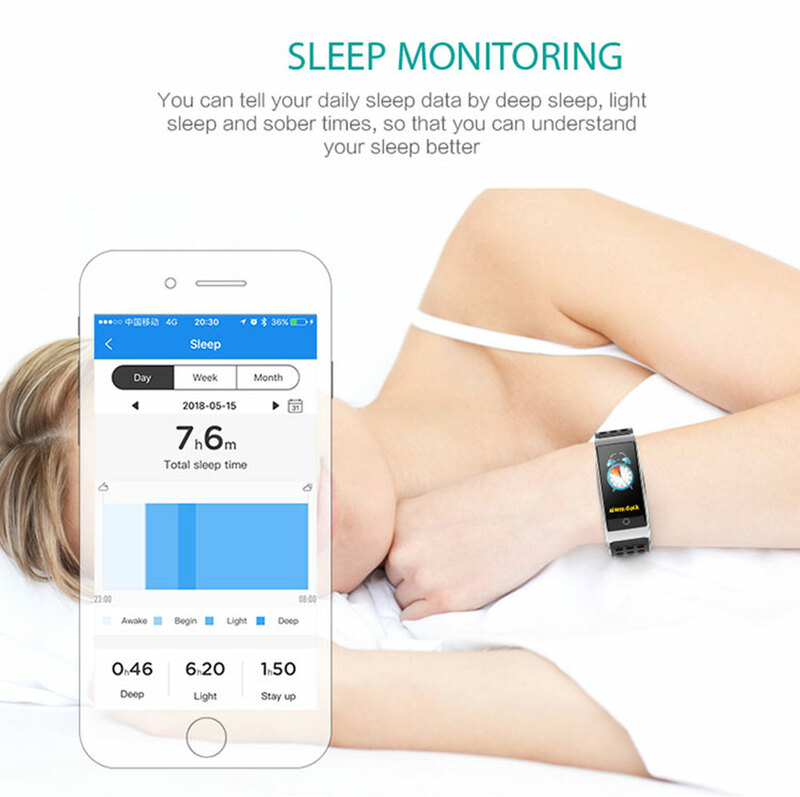 *Smart Sleep Monitoring: When wearing in sleep, the band will record your sleep automatically and show your sleep data in APP,Through tracking the sleep conditions, you can know whether sleep is influenced by changes in daily life so as to adjust sleep time better and ensure high-quality sleep. 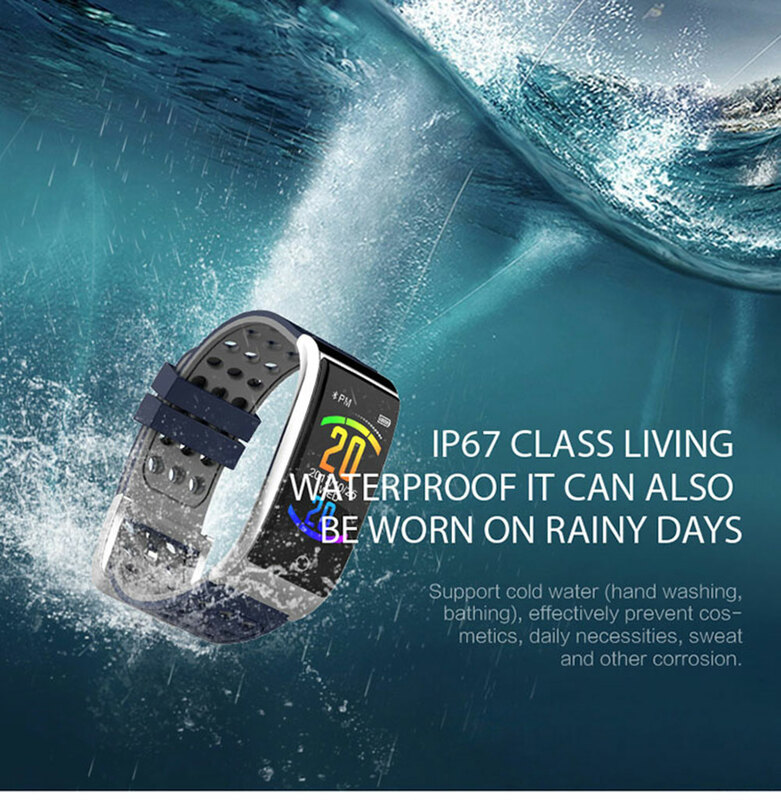 *IP67 waterproof: Not afraid of water,Easy to enjoy and enjoy swimming and bathing. 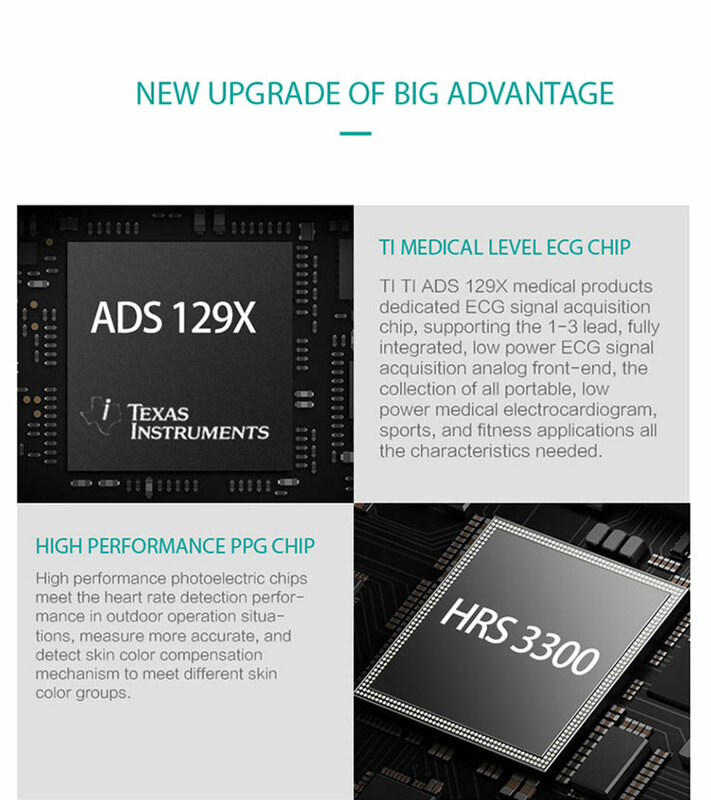 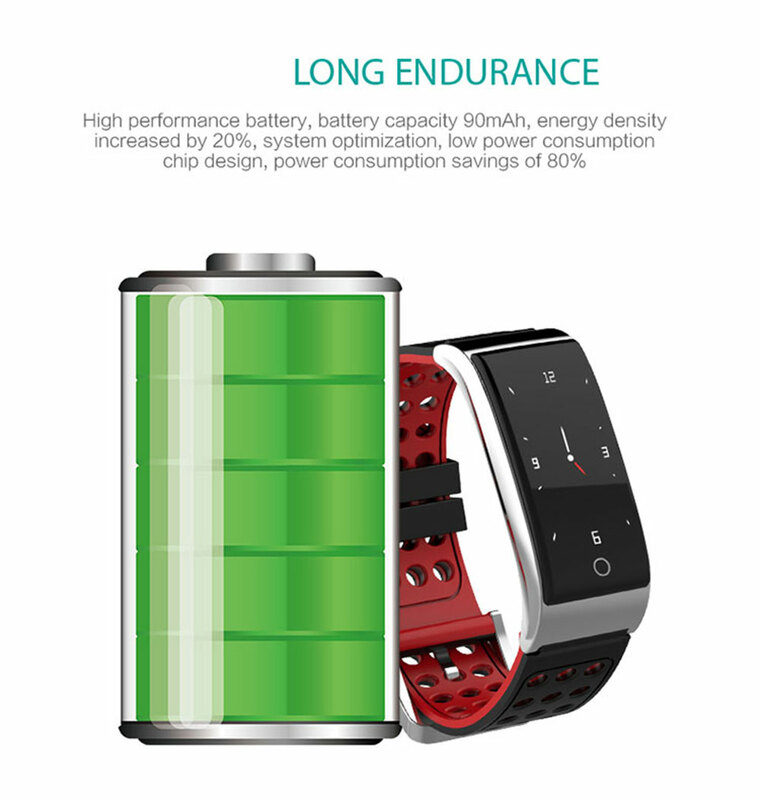 *LONG ENDURANCE: High performance battery, battery capacity 9omAh, energy density increased by %, system optimization low power consumption chip design, power consumption savings of 80%.